Directv HD Gives You The Most HD! Directv HD is famous for offering the most HD channels anywhere! Competitors like Dish Network and cable, fall short on high definition programming when stacked up against Directv's HD offerings. Check out the Directv HD Channels! Dish Network stuffs it's HD lineup with filler content, like part-time HD channels and video-on-demand programming. Do you really want to throw away good money on something you will never watch? There's a reason why Dish Networks price is lower. It's simple. You are getting less. The Most 1080p HD Movies Anywhere! Direct TV offers 400 of the newest movie releases in 1080p HD quality. Watch over 4,000 movies and TV series at no extra cost, 28 days before Netflix and Redbox get them! Check for yourself. Can you get 1080p programming with any other provider? DirecTV Entertainment Information Lots of information at Practical Home Theater Guide: Comprehensive home theater design guides, home theater systems reviews, and installation advice to help you get started. See all the little details with the NFL Sunday Ticket. You simply can't find anything like this with cable and Dish Network. Also, enjoy other sports like live boxing, college football, basketball and many more. I have talked to many people who have had other providers. Like I have said many times before, you get what you pay for! Direct TV is the First Content Provider to even offer 3D Programming! 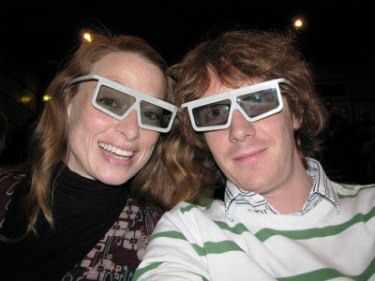 Hollywood movies and documentaries, all in 3D. A full-time 3D HD channel that shows 3D sports, music, nature and arts programming. View 85 sporting events in 3D. 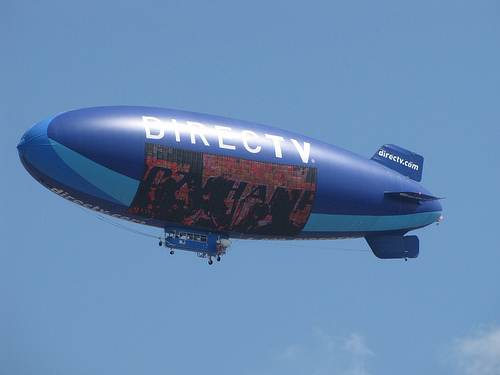 Directv HD local channels are available in over 91 percent of the United States. If you live in certain rural areas, local channels may not be available. There are other options besides getting local channels through the dish. You may be able to use the AM21 off air tuner to get your local channels. Your local channels are integrated into your on-screen program guide when using the AM21 tuner. In other situations, you may also get able to get "Distant Network Services" by going through a waiver process. Contact Directv "Customer Service", for help with the waiver. You can save money with other TV providers like Dish Network and Cable, but you won't get as many Full-Time HD channels as you will with Directv. Take my advice and thoroughly check all the details before making any commitment. You will get the most HD with Directv! If you finished reading about "Directv HD", discover the "HDHomeRun"! Find Out Why Serius is a Great Choice! Is Directv or Dish Network Better? Is Dish Network Right for You? Never Miss Your Favorite Show Using a Digital Video Recorder! Learn about Digital Media Receivers! What's a HD Home Run? Direct TV offers all kinds of music for every listener's taste and something for everyone! From Old school Rock 'n' Roll, Folk, Laid back Country. Silky Soul, Jazz, Big/Band Swing, 80's Hits, Modern Country, Classic Rock 'n' roll to Zen. The Direct TV Rebate can save you money by taking advantage of it, but there are a few things you need to know so you don't get surprised with a higher than expected first bill! When it comes to HD channels, DVR's, sports and what you get for your money, cable is the more expensive option. Sony LCD Televisions (Liquid Display Displays) are well known and Sony has been around for since 1955. You get much of the same leading edge LCD TV features such as 3D, LED backlighting and wired Ethernet connectors as other leading brands provide. Digital Media Receivers (DMR) are also referred to as a media extender, media streamer or digital media adapter. It's a home entertainment device that connects to your home network to share music, pictures and video from a personal computer or media server to your TV or home theater system. Direct TV NFL Ticket (Directv NFL Sunday Ticket) is the ultimate football package for the die-hard football fan! With this package you can see more NFL games then anywhere else. If you are a new Direct TV Customer and are willing to wait, there is usually a new Customer offer made every fall called the "4 free months offer".